treatment plan. This will involve you explaining exactly what your concerns may be, taking a history, performing a clinical examination and undertaking a radiographic (x–ray) examination if necessary. 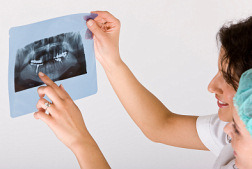 You are encouraged to bring any recent radiographs that your family dentist may have taken as this may help to reduce further radiation exposure. If you have previously received orthodontic treatment, it would be useful if you can bring records of this treatment with you. At the end of the consultation, you will be provided with a brief outline of the treatment options and costs involved. If you wish to progress with treatment then we will arrange to take further records (photographs, study models, x–rays) for final planning.